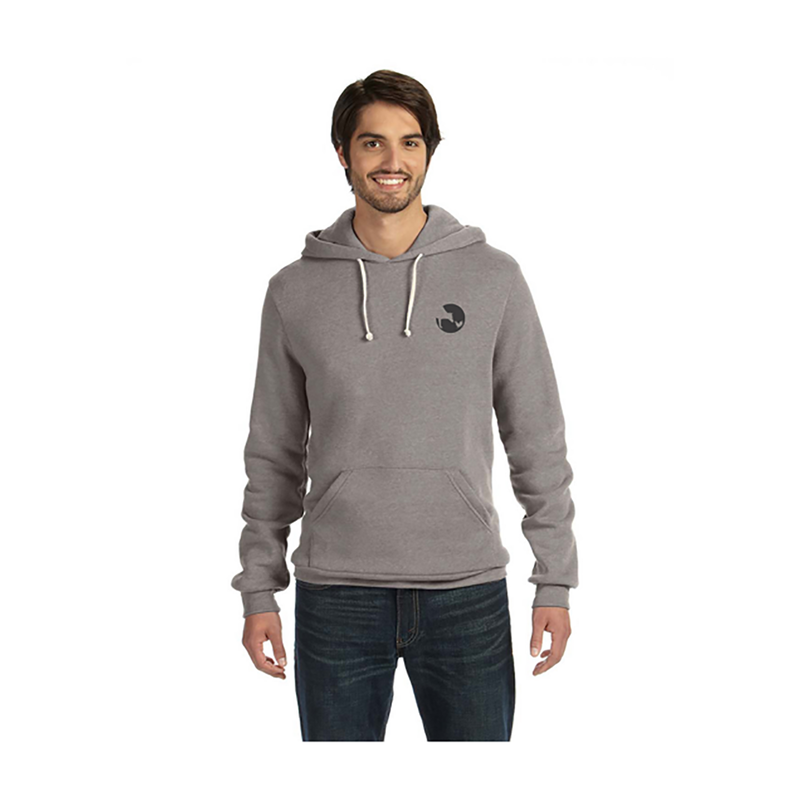 Show off your big heart in our new Logo Fleece Zip Hoodie. 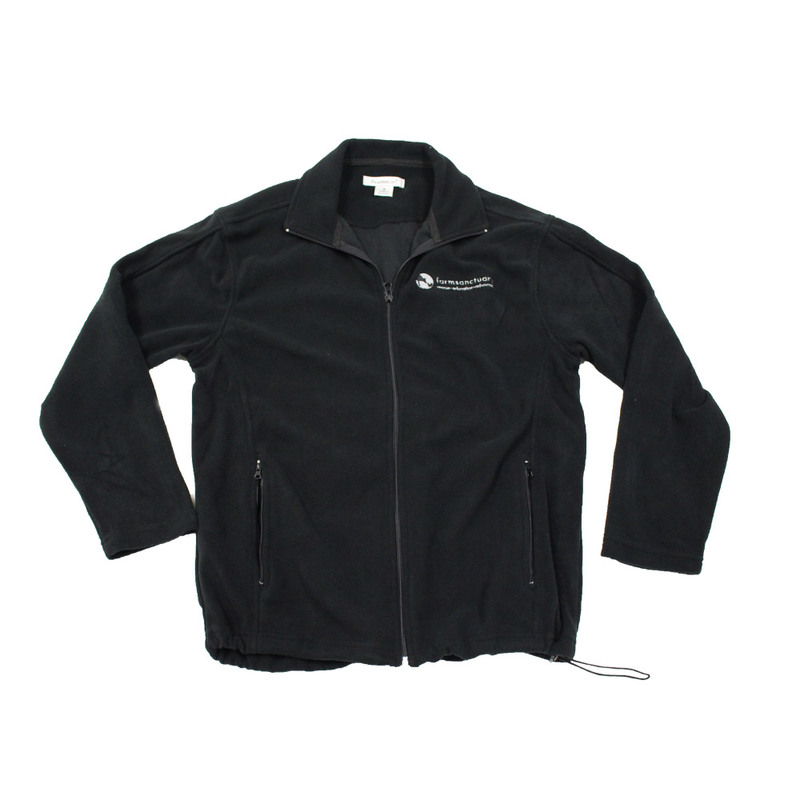 It’ll keep you warm, comfortable, and looking great when temperatures dip. 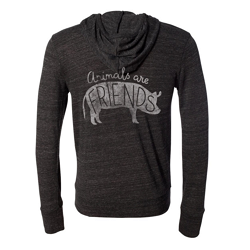 Our hoodie-to-live-in made all the cozier in soft fleece to warm you up whether you’re snuggled up on the couch or out about town. 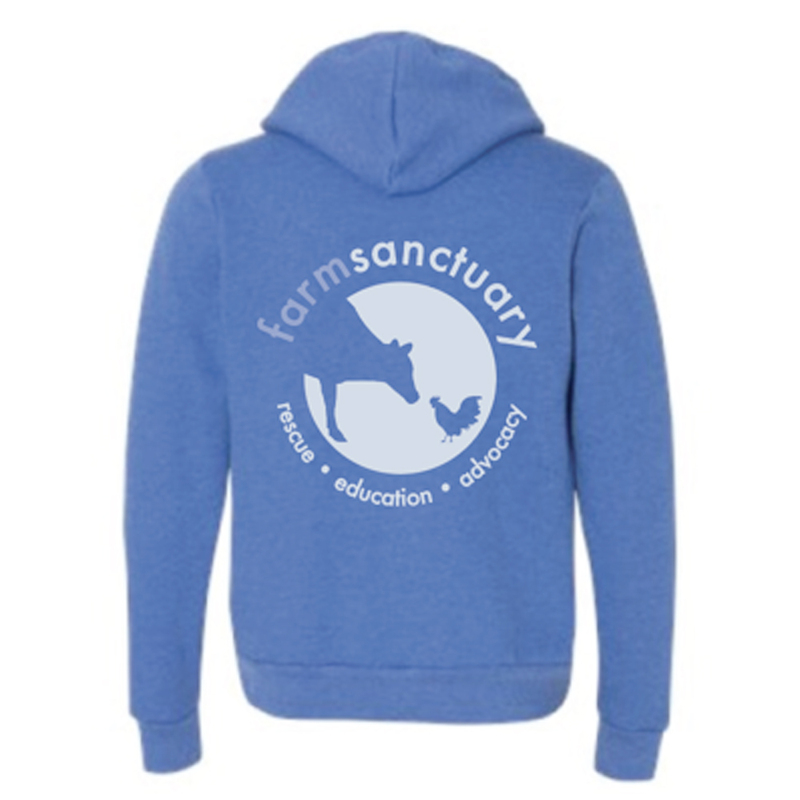 An incredibly soft and relaxed unisex hoodie, spun from a plush poly-cotton blend, will quickly become a go-to essential. 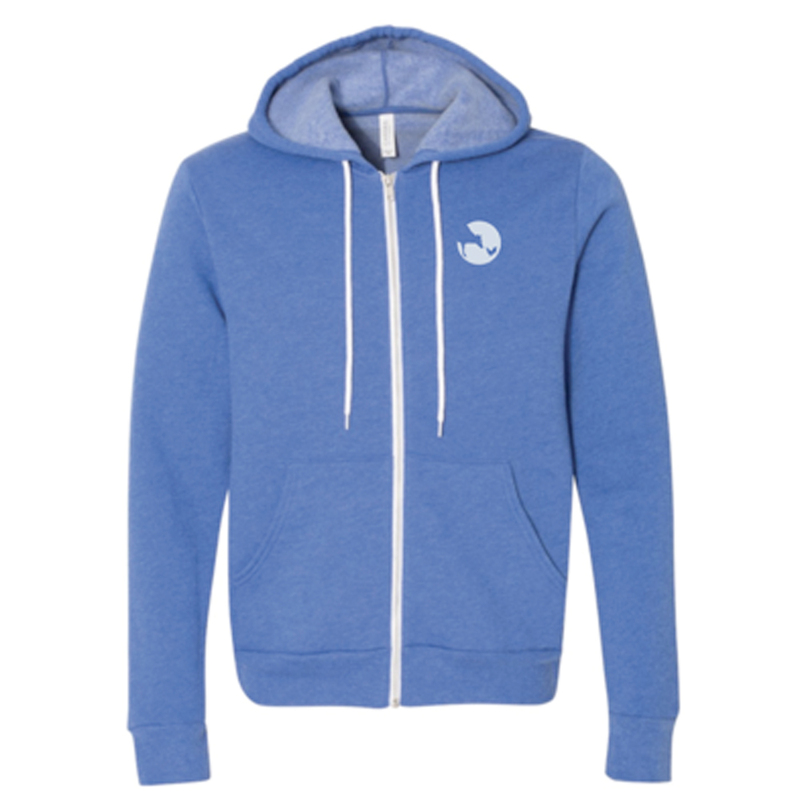 Features a relaxed fit, hood with white drawstrings, full zip closure and ribbed cuffs and waistband. 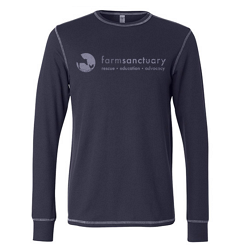 The Farm Sanctuary Logo is small on the left front and large on the back. It depicts Maya reaching down and over to her chicken friend. They are both so thankful to be at Farm Sanctuary and thankful for their friendship with each other and all the caregivers and supporters. 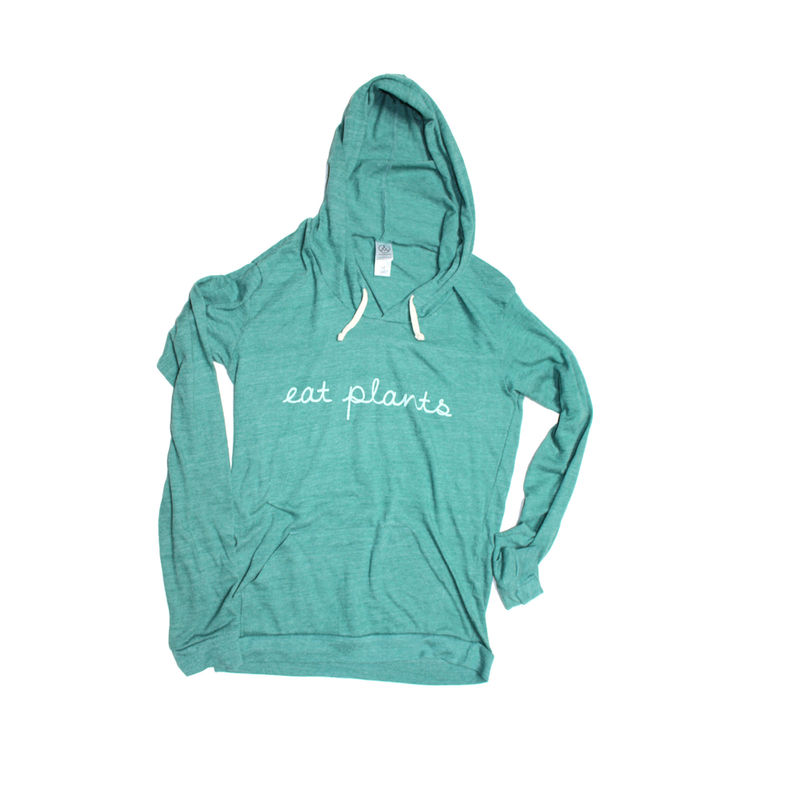 This hoodie is so soft and comfortable plus attractive and meaningful I want to wear it all the time, day and night! 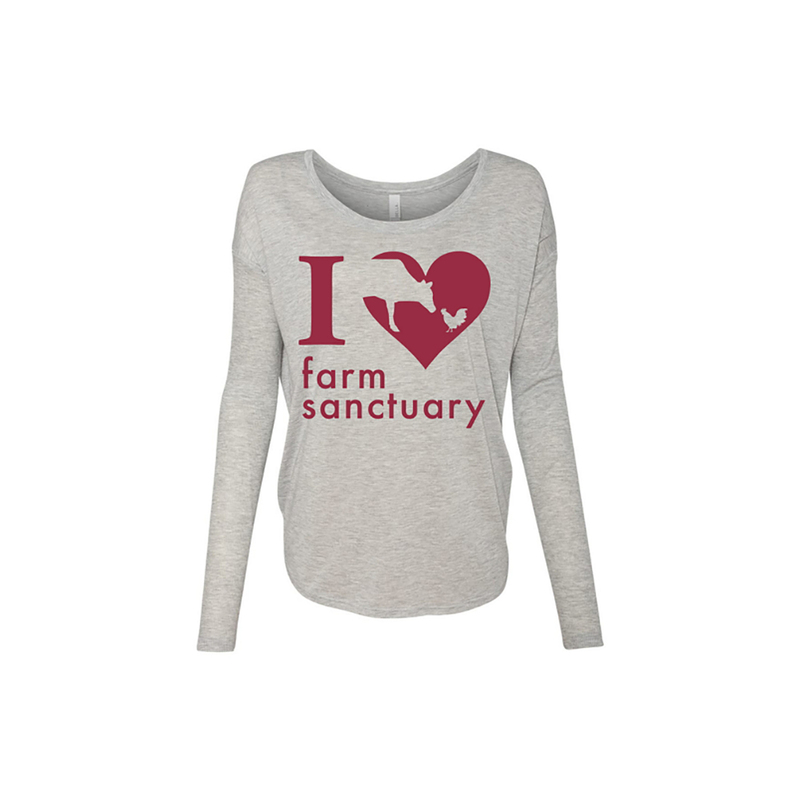 Right now I wear it over the Distressed Logo Unisex Tee. I feel good about this outfit and am eager to tell people what it means to me and to them, too, I hope!